Future Hndrxx Presents: The WIZRD is Future’s seventh studio album and arguably the first major rap/trap album of 2019. And along with this new release comes yet another one of the Atlanta trapper’s alter-egos, The WIZRD. After Caesar Lee, Super Future (the hard worker who produced albums such as Purple Reign and Beast Mode), Fire Marshall Future (the showman) and Future Hendrxx (the rock star) we now see the emergence of The WIZRD. The WIZRD is a name that was given to Future by his late uncle and is the alter-ego that has “got the answers for everything” as he put it in an interview with MTV News. It’s the persona he embraces when he goes “back into the woods” to figure out his next release. 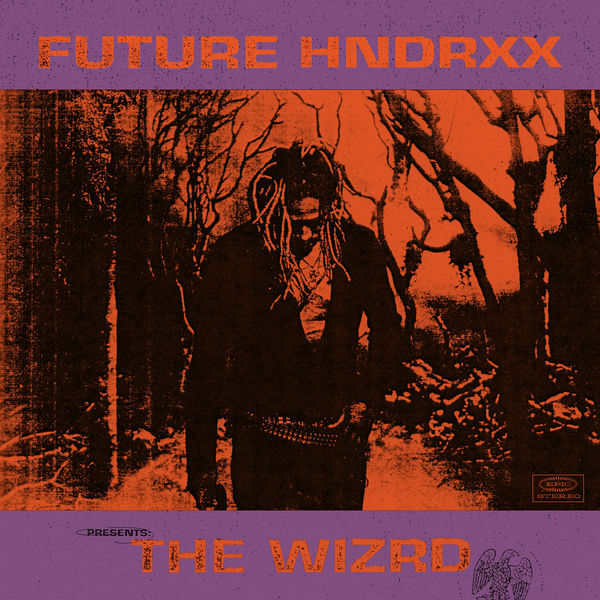 It seems The WIZRD knows how to mix different types of Future together as this album consists of both melancholic melodies and hard-hitting trap anthems. This mix of track style is something that hasn’t been seen on past albums generally speaking. It’s usually one style or the other. Future Hndrxx Presents: The WIZRD brings together the softer melodies such as Never Stop, Temptation and Tricks on Me as well as the classic trap beats of Servin Killa Kam, Unicorn Purp (featuring Gunna and Young Thug), First Off (featuring Travis Scott) and Promise U That. Despite including two young trap stars on the album in Young Thug and Gunna, Future does not hesitate to take a slash at their generation. With Krazy but True he claims that the trap youth are living off his legacy, boldly stating “I’m god to you, I worked too hard just to spoil you, you need to pay me my respect…”. And in fairness, there a few that would deny Future’s importance as an innovator for the sub-genre. He is indeed trap royalty. There are some numbers here that could have and perhaps should have been left out in order to reduce the size of the rather overwhelming tracklist and render the album more focused. Talk Sh*t Like a Preacher, Overdose and the single Jumpin on a Jet serve only to fill in gaps, gaps that aren’t actually there. However, overall Future gives us a good mix of his f*** you attitude and his more apologetic side.